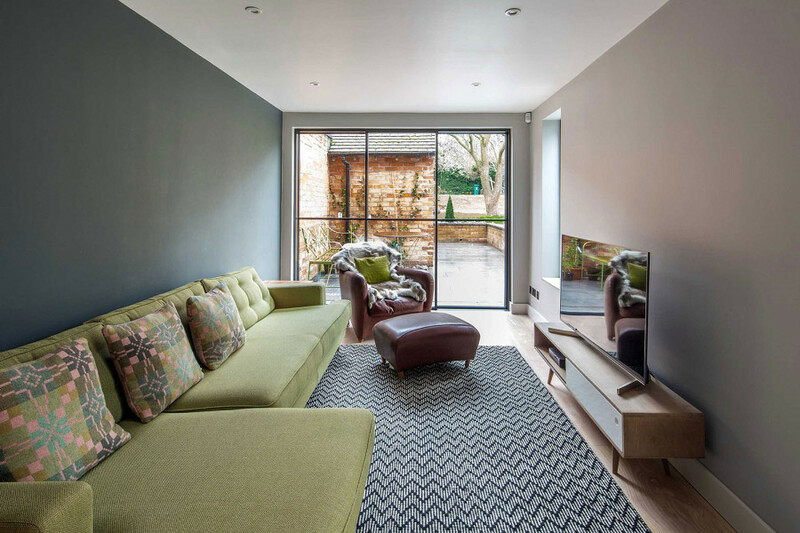 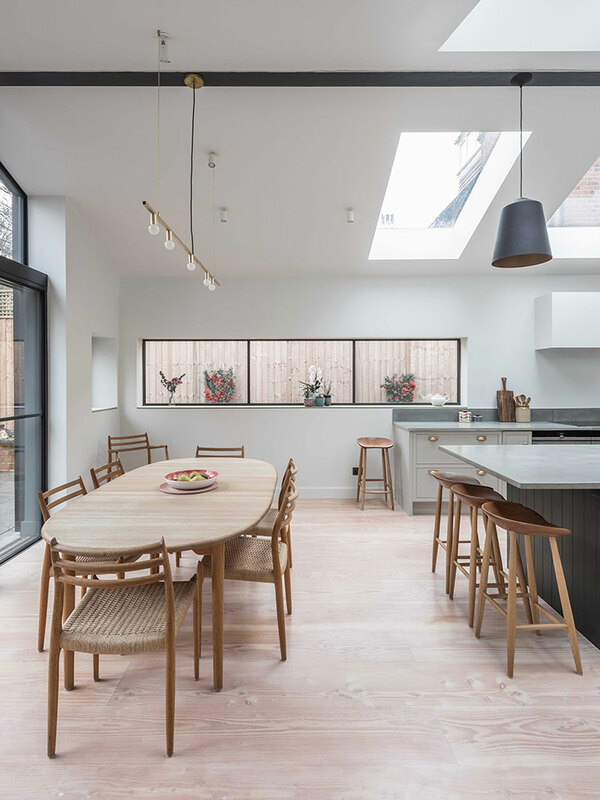 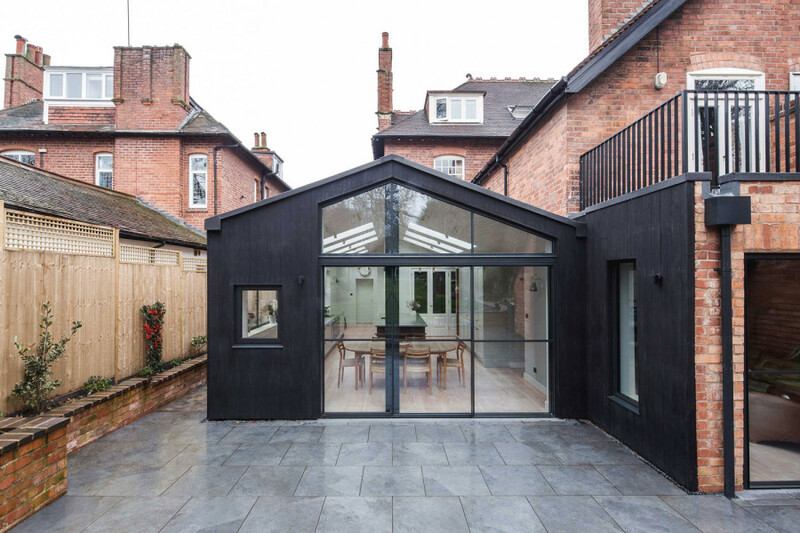 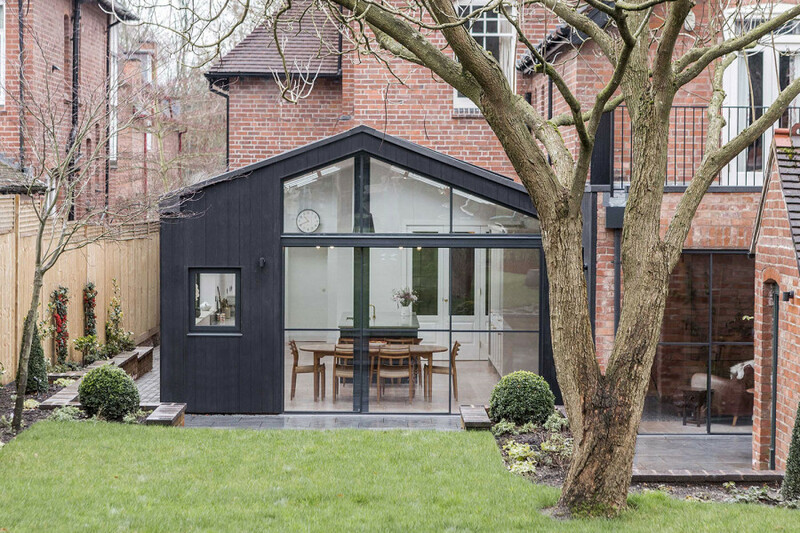 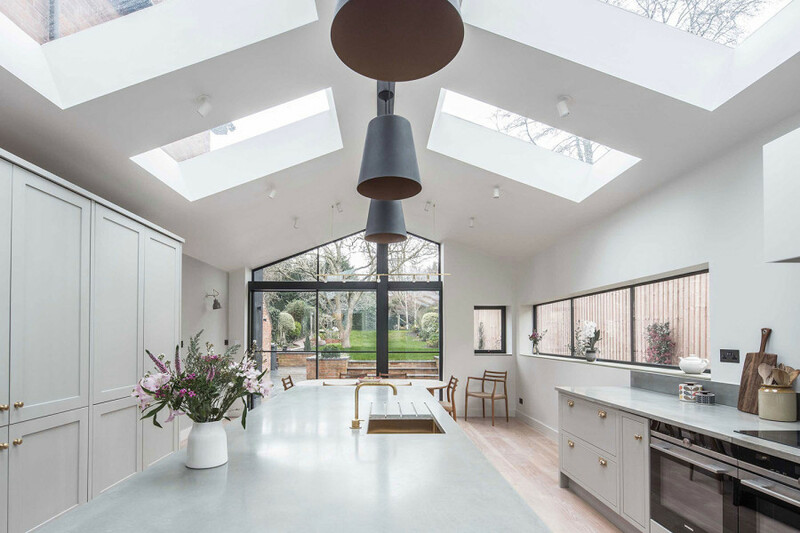 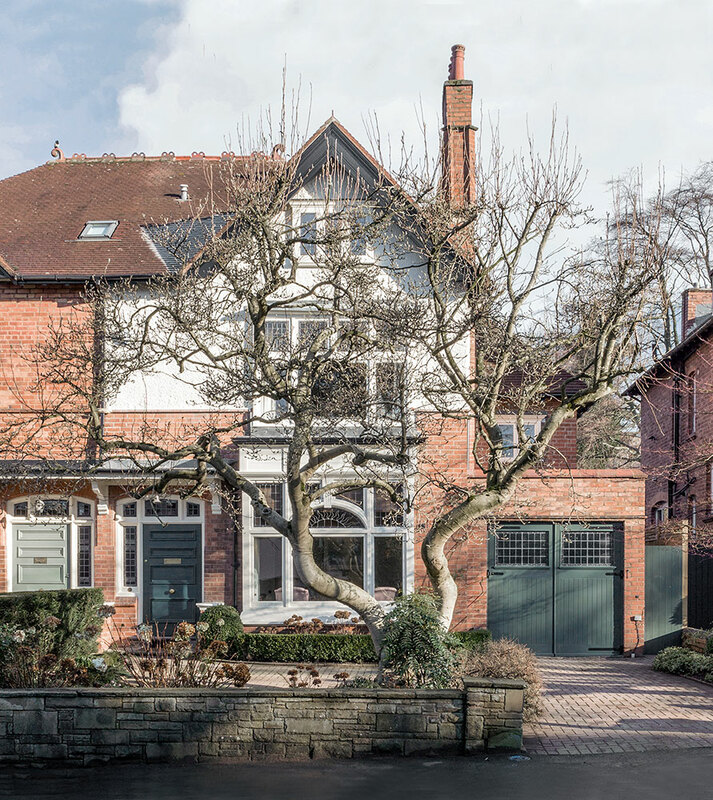 We would like to share with you our recently completed project in Birmingham, a rear extension to a Victorian semi-detached house, with internal reconfigurations and bespoke designed joinery and new finishes throughout. 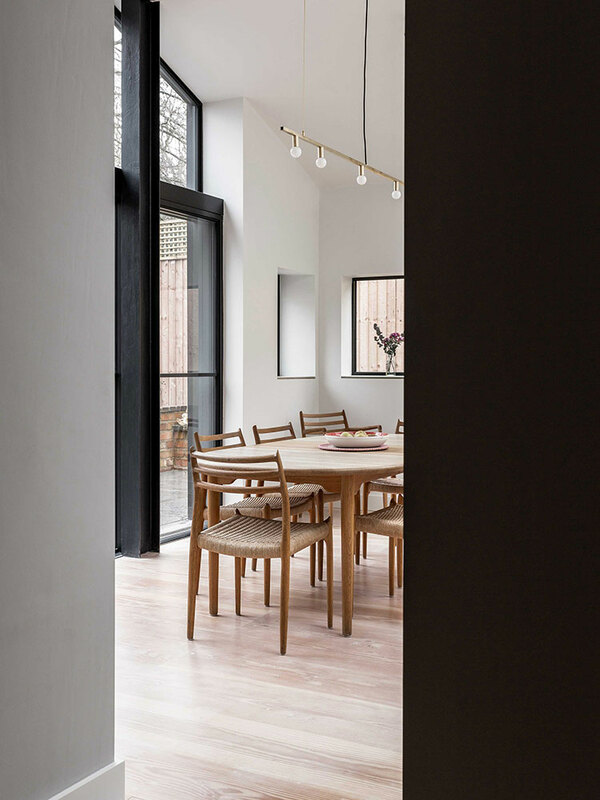 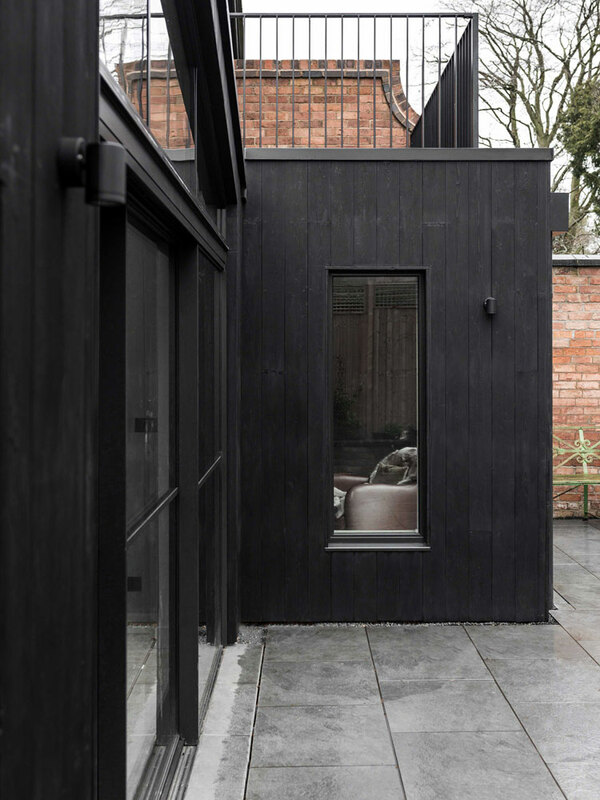 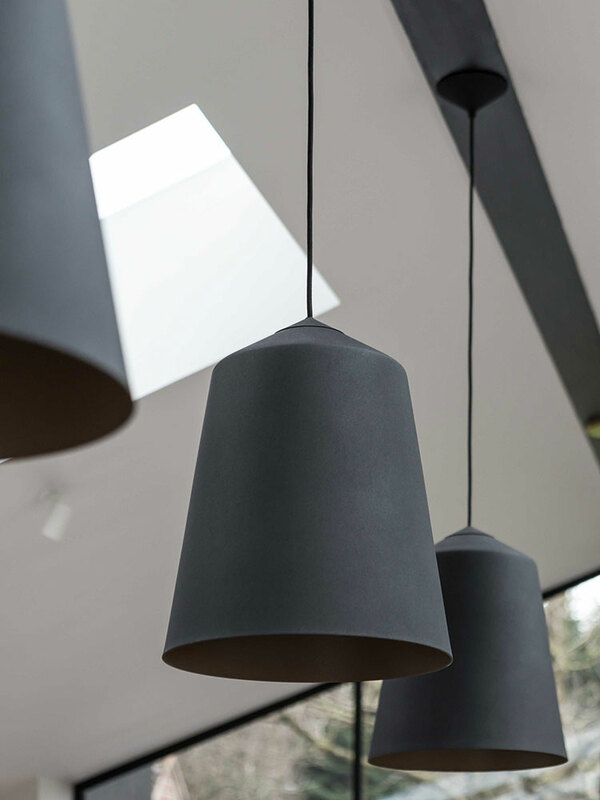 As a key feature to the exterior, the charred black timber clad provides a unique and hardwearing character to the form, with black aluminium crittal windows, a black zinc roof, and flat profile frameless rooflights, shaping the natural light entering the new and renewed spaces. 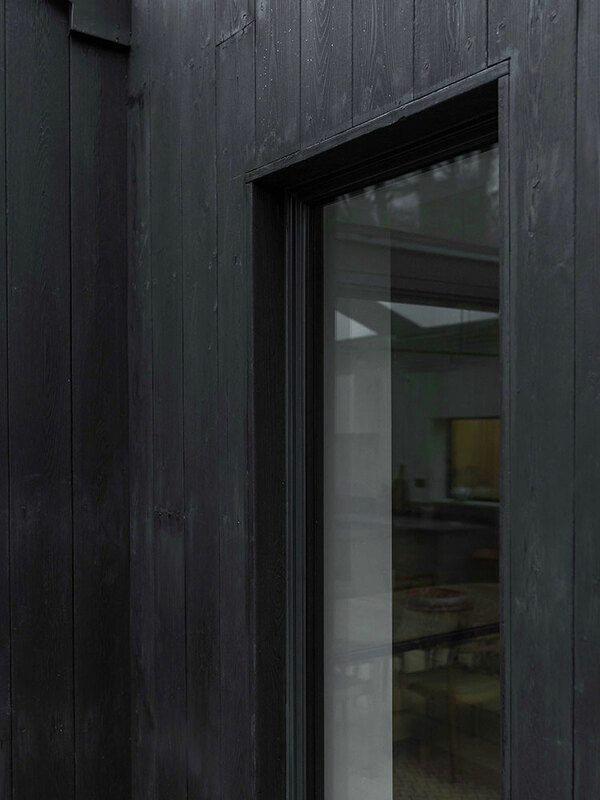 To the landscape, blue limestone slabs offer tonal variation from the darkness of the cladding frame, and create a natural level threshold crossing out to the exterior. 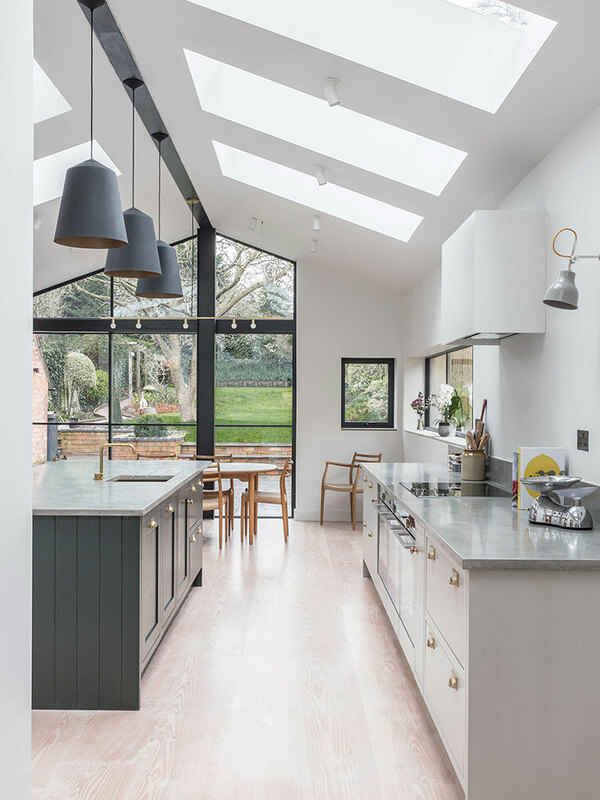 A snug replaces the previous kitchen and dining area, and creates a niche opening into the extension area of a light filled open-plan kitchen/diner. 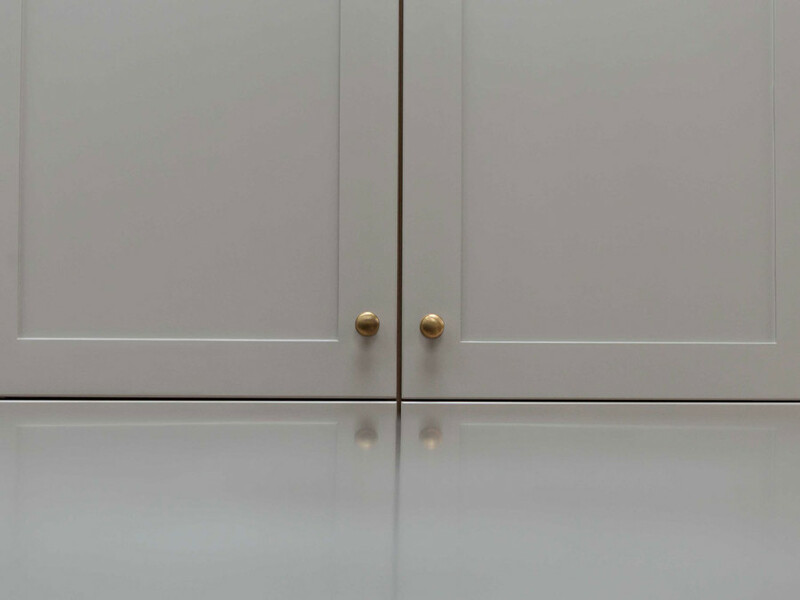 We designed all of the internal joinery and doors to create a contemporary take on the Victorian style. 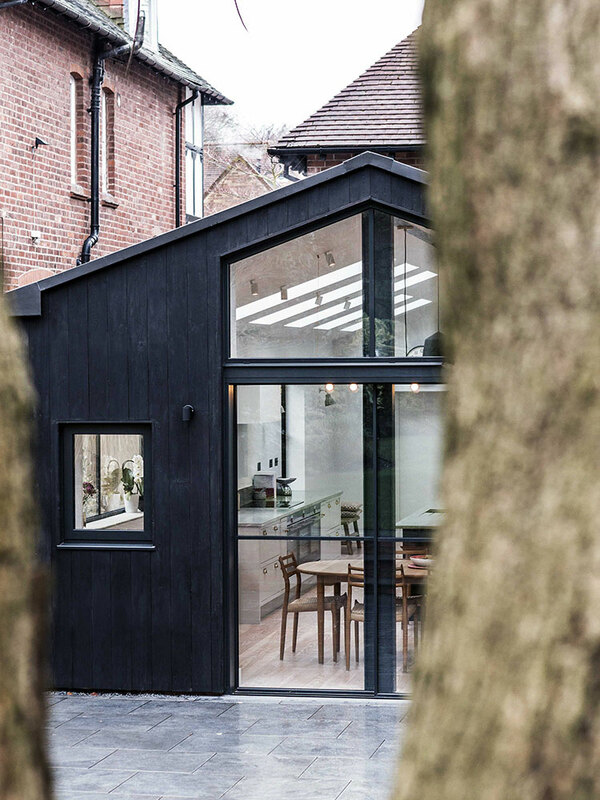 Internally, to the extension the main steel structures are exposed and painted black to compliment the glazing frames and exterior cladding tones. 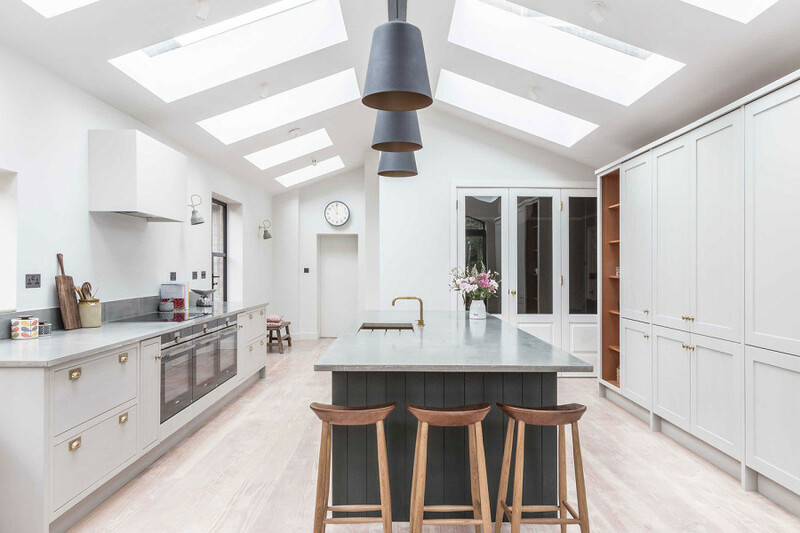 The main contrast with the darkened exterior tones is then set with lighter kitchen cabinetry and walls, with a warm lyesoap finish to douglas fir floorboards throughout. 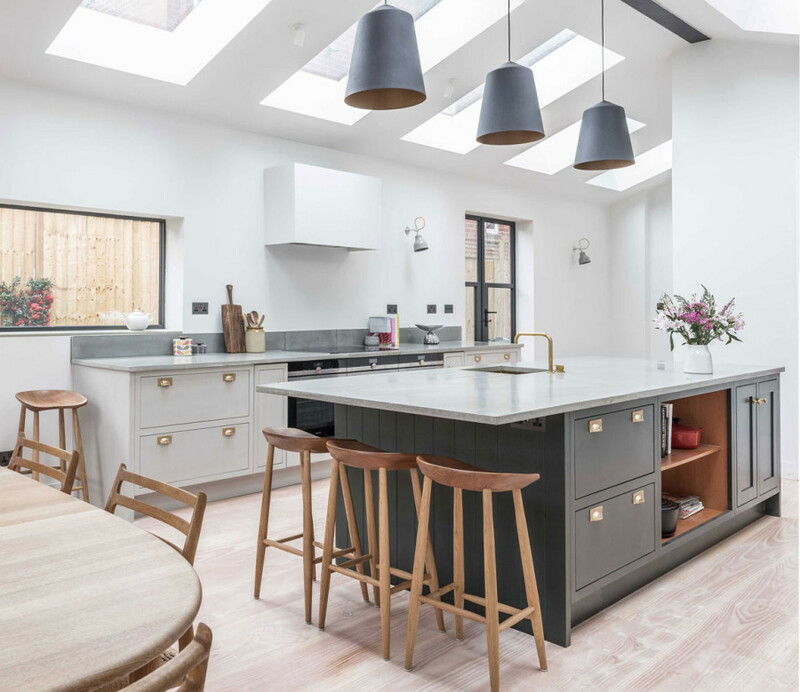 The countertop surface is then contrasted with a polished concrete worktop, another tonally natural material offset between the lighter surfaces and the darker exterior lines. 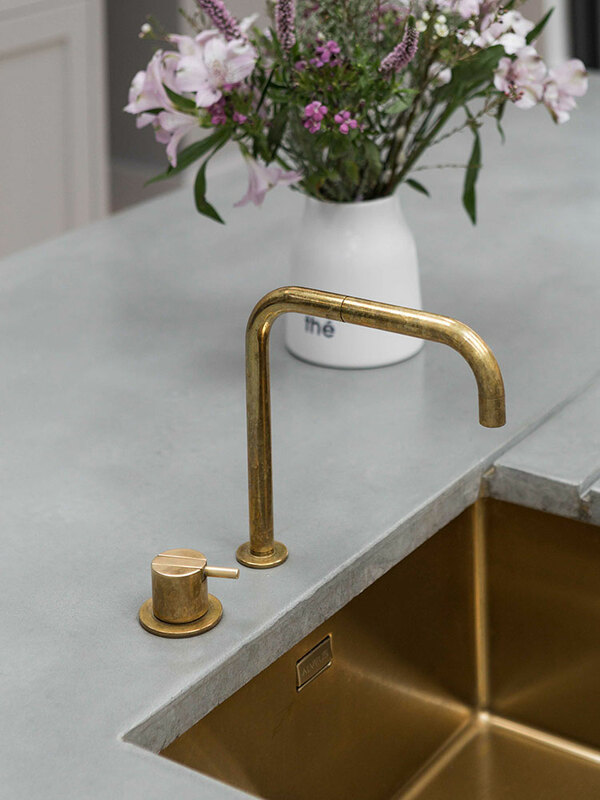 Details for the handles include bespoke matt brass hand pulls, a brass Vola tap and sink, to add metallic highlighting tones throughout the space. 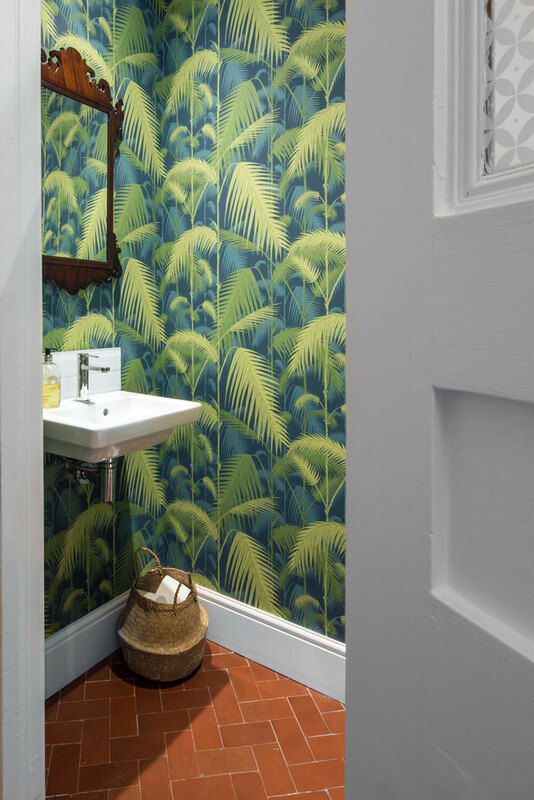 A secret door also leads to an additional utility and hallway back to the rest of the house. 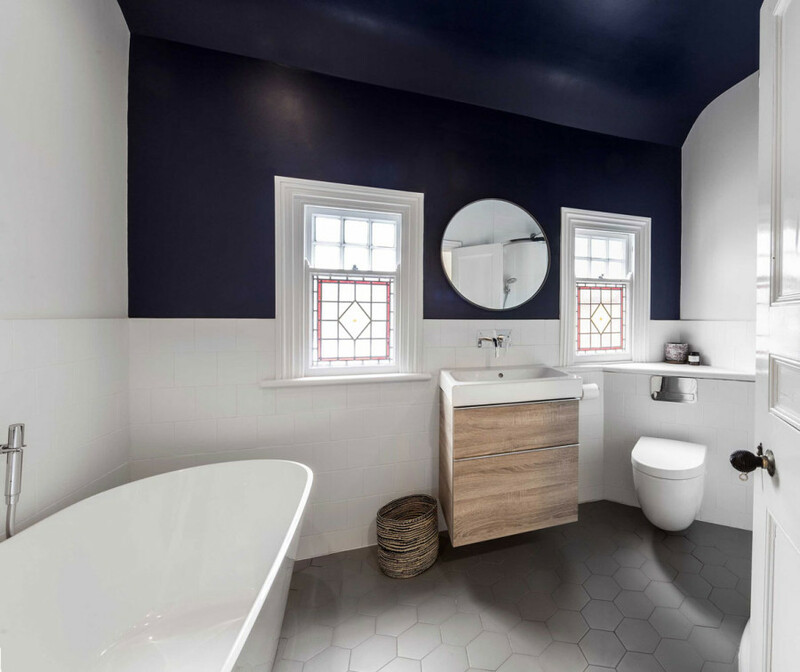 The bathroom areas are also refinished, with the WC offering a pop of leafy wallpaper print, and the main family bathroom a dark navy wall and ceiling colour contrasting with lighter floor and wall tones.